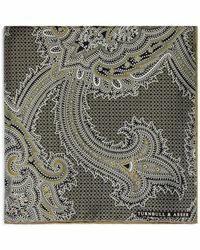 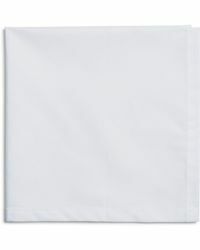 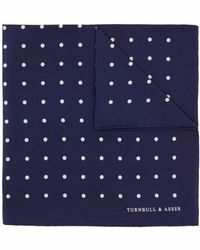 Turnbull & Asser is a prestigious menswear label with a long history of shirt-making in Great Britain. 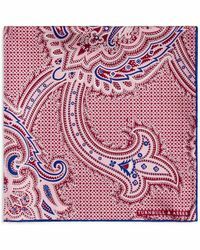 The brand is synonymous with traditional British style and uses techniques passed down through six generations to create shirts in Gloucester and ties in Kent. 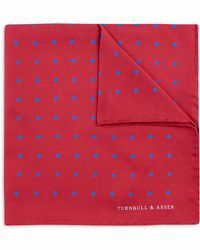 All Turnbull & Asser products are created using the finest fabrics, produced in Italy and with the greatest attention to detail and construction. While the brand's heritage is rooted in shirts, having dressed an array of musicians, film stars and even royalty, the accessories line thrives too. 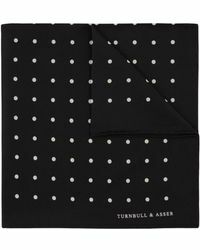 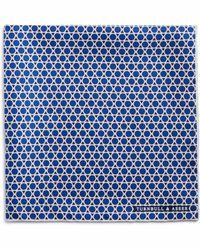 This collection of Turnbull & Asser scarves is made up of classic and ornate silk scarves and pocket squares, designed to complete any discerning dresser's outfit.